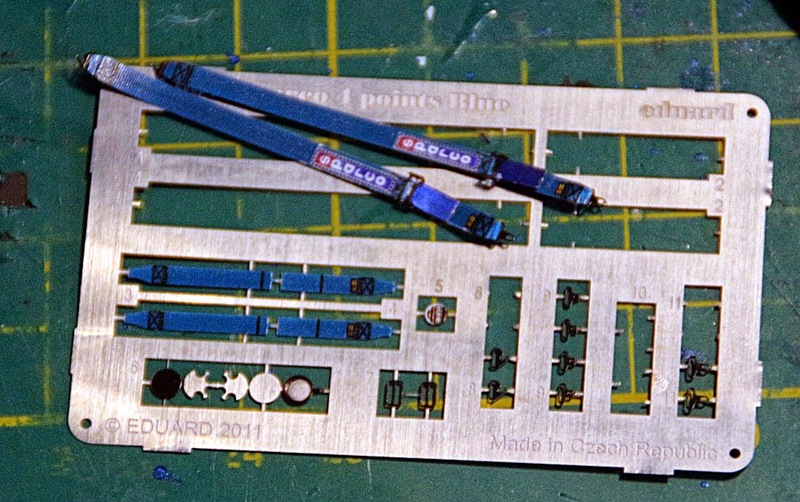 Another Fujimi kit under way. 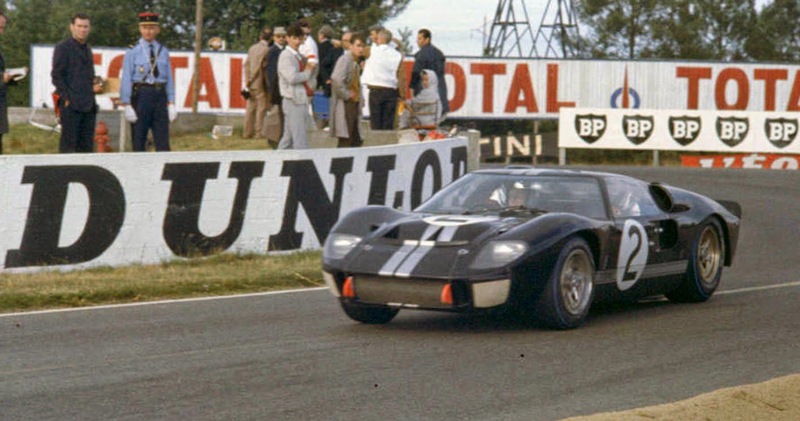 This looks to be just as nice a kit as the GT40. I am trying something new with this one. 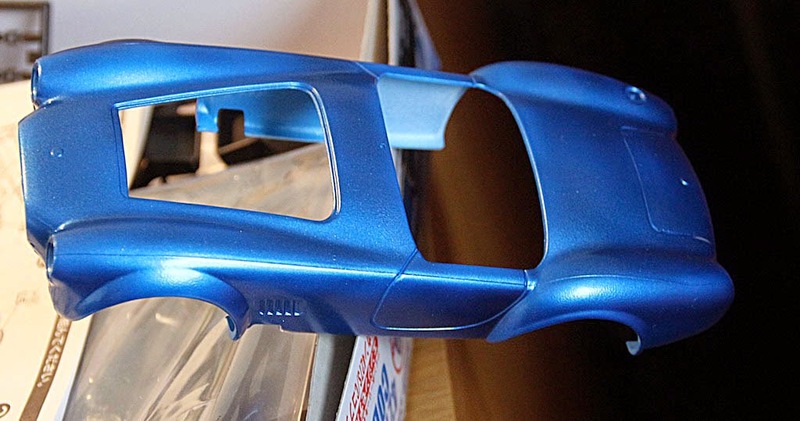 The body is to be painted with a metallic blue. It is very difficult to hand paint metallics so I have bought a Tamiya acrylic rattle can. As using a rattle can is normally a broad brush operation and the paint goes everywhere with little control, I decided to decant the paint into a bottle and use the airbrush. Decanting is an interesting process. Brett Green, of Hyperscale fame, has done two videos on the process. Having decanted the paint and left it for the gas to escape, I loaded up the Iwata Neo and sprayed away. Here is the result so far. I think that this looks really smart and am very pleased with the result. I have also made a start on the engine. 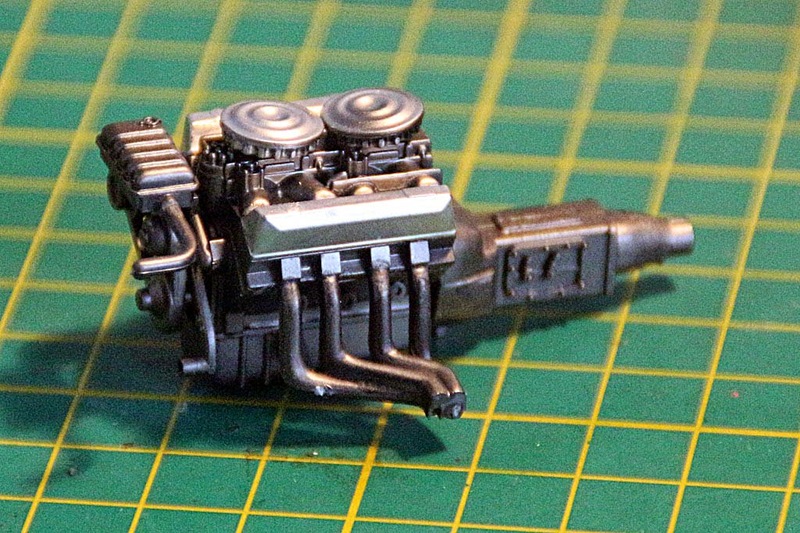 I am not one to do a lot of scratch building detail on engines as I don't really understand all the bits so this is built OOB (out of the box). The engine block and exhausts have been sprayed with Alclad steel whilst the rest is in Alclad chrome. I tried using Coca Cola to remove all of the original chrome but I think that my bottle must have been passed its sell by date as nothing happened so it was back to the trusty old Mr. Muscle Oven Cleaner which did the trick in about 10 minutes. Funny but I never realised that it worked so quickly. I had always followed the instructions I got from the internet which said - put the items in a plastic bag; spray them; leave overnight; wash and dry. It seems that I can replace the plastic bag with a metal tray and the overnight with 10 minutes! Anyway, job done. I then undercoated everything with Vallejo black primer and then sprayed the Alclad. While I was at it, I sprayed everything else that needed to be black. So, I am ready to get on. 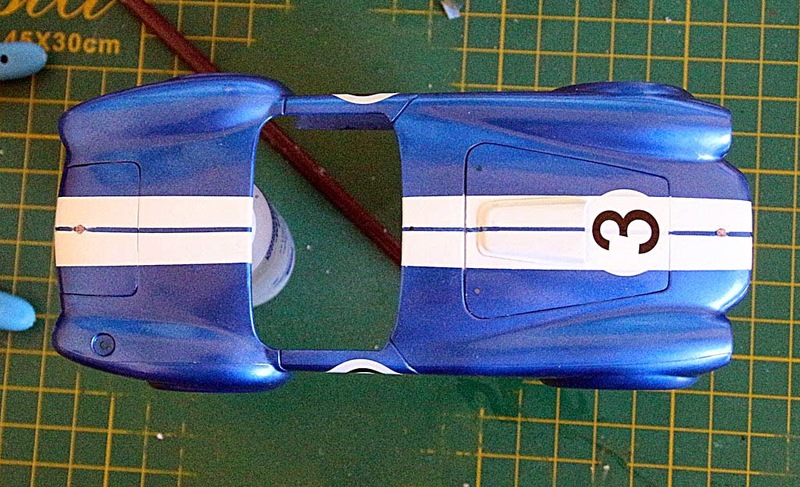 Lastly, I am very excited that I have found the Ferrari kit that I wanted to pair with the GT40. 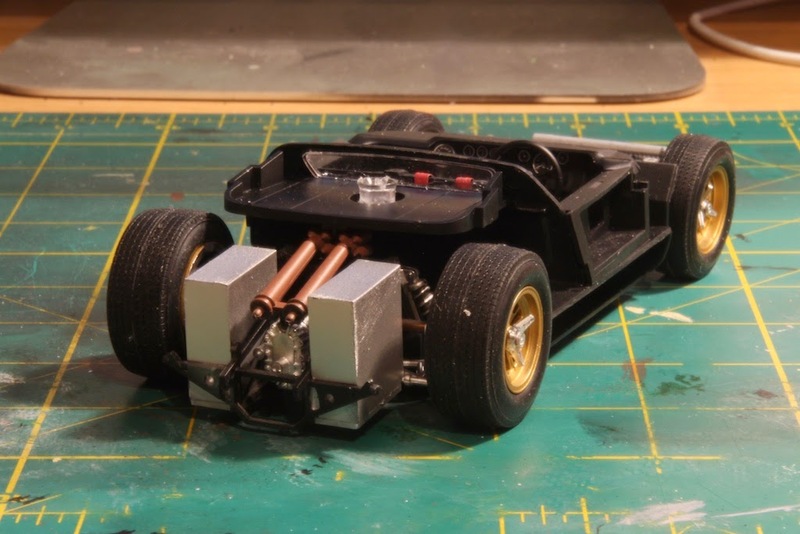 It seems that Fujimi make a 1/24th kit for a Ferrari 330 P4. It is not quite right (yah boo) as it should be a P3 but externally, I can't tell the difference. here is the box art. I have one coming from Hong Kong as the kit is unavailable over here. At last, I have finished a proper model kit. Apart from the 1/144th stuff that I was doing last year, it is a long time since I completed what I see as "proper". 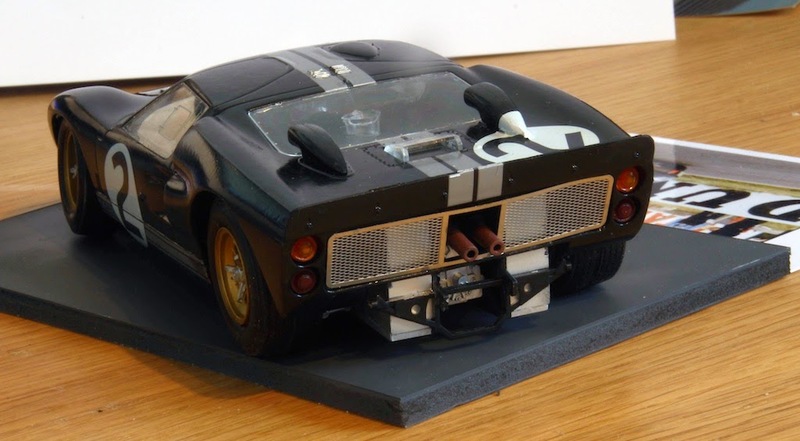 I have always loved the GT40 and have wanted a model for many years. 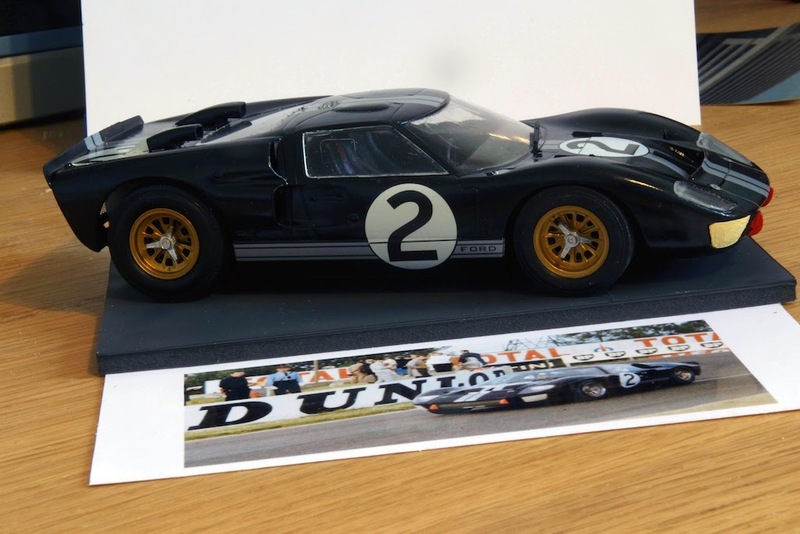 The target for this model was the Bruce McLaren/Chris Amon Le Man winning car of 1966 as in this photo. 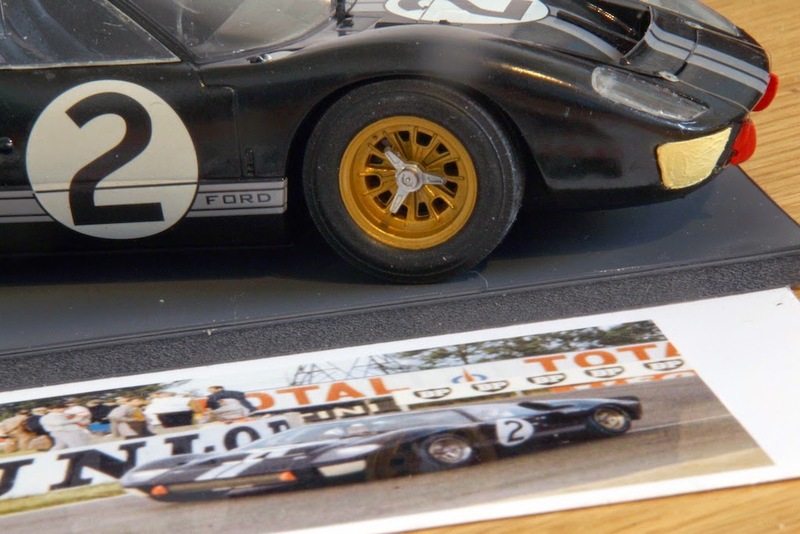 When I found that the Fujimi kit only contained one set of decals, I was a bit concerned but when I saw the box, I knew that I had to build it. The kit itself went together with very little problems - or effort. Being black all over, I was able to use my favourite Vallejo black primer as the paint and then multiple coats of Klear - hand brushed to get a decent shine. I always find that spraying Klear leaves very thin coats whilst hand brushing goes on better. Remember that Klear is self levelling so you never get any brush marks. It is a bit disconcerting when you put on a second coat as you think that everything has gone wrong because the surface becomes very cloudy. However, what is happing is that Klear consolidates itself into a single coat from multiple applications so the cloudy effect is the top coat softening the layer beneath before this consolidation takes place. Within a few minutes, the surface is its usual brilliant shine again. 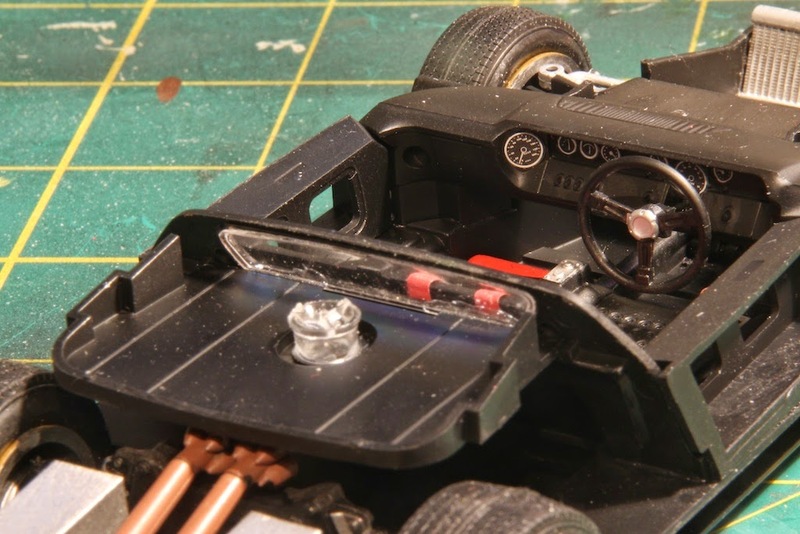 The only bit that isn't quite right in the kit is the front wheels. They are designed to roll but the mechanism leaves them a bit floppy on the suspension. Still, as it is a static model, that won't matter. 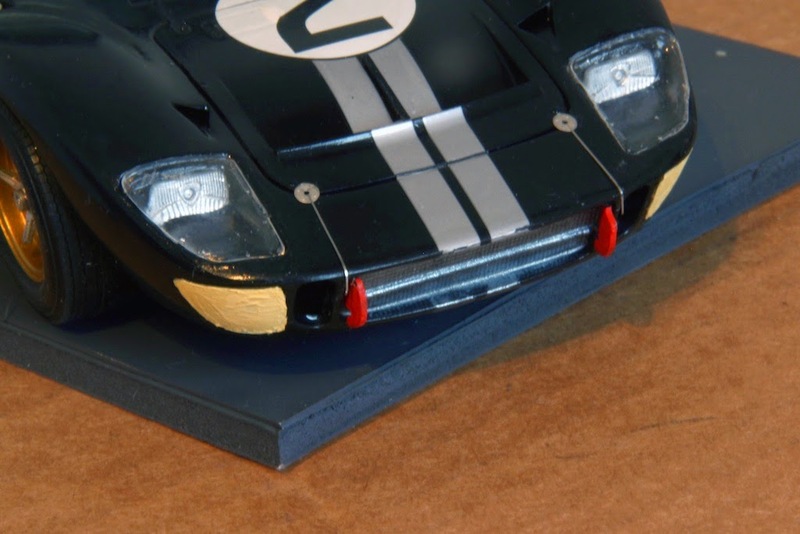 In fact, I would have shot some super glue of into the wheels to fix them in place (I only realised that it was a problem when I put the body on) but I have run out of super glue! I can do it later, though. So, here is the finished kit. So, what is the next project. Well, I have had so much fun building this that I decided that I was on a roll. 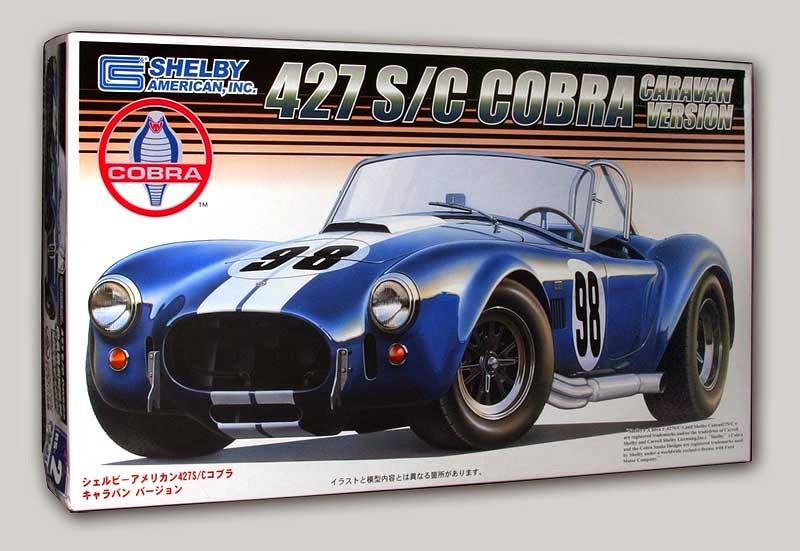 Firstly comes the Fujimi 1/24th Shelby Cobra. 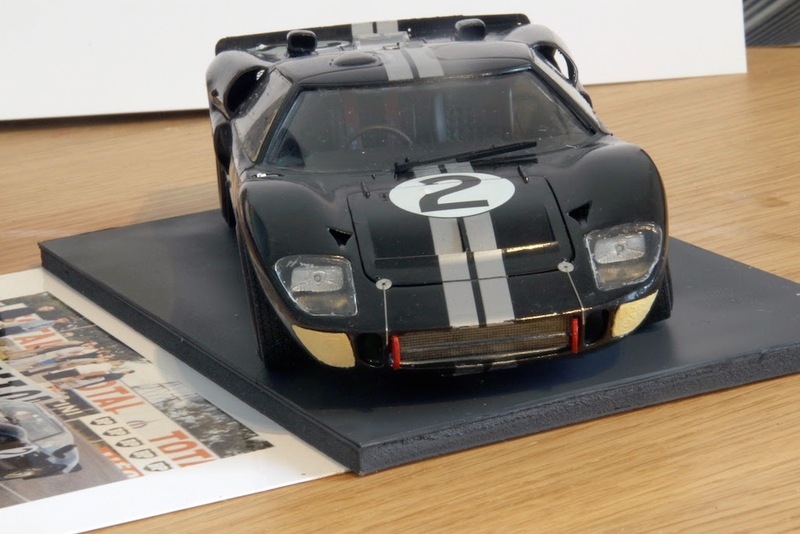 I have built the Revell version before but that went to Dan in Connecticut so I would like one for myself. The Revell kit was out of stock at my supplier, so Fujimi it is. 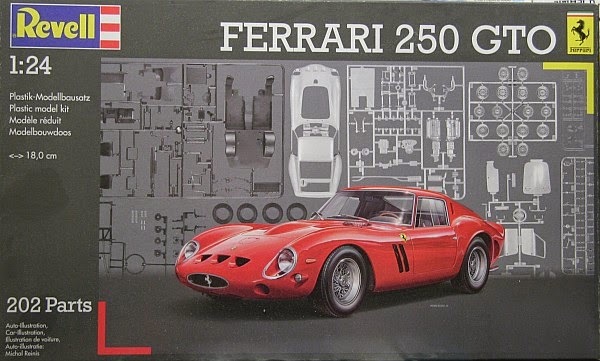 Then, The Revell 1/24th Ferrari 250 GTO. I would have liked a 250Por 330P but there isn't a kit for that. 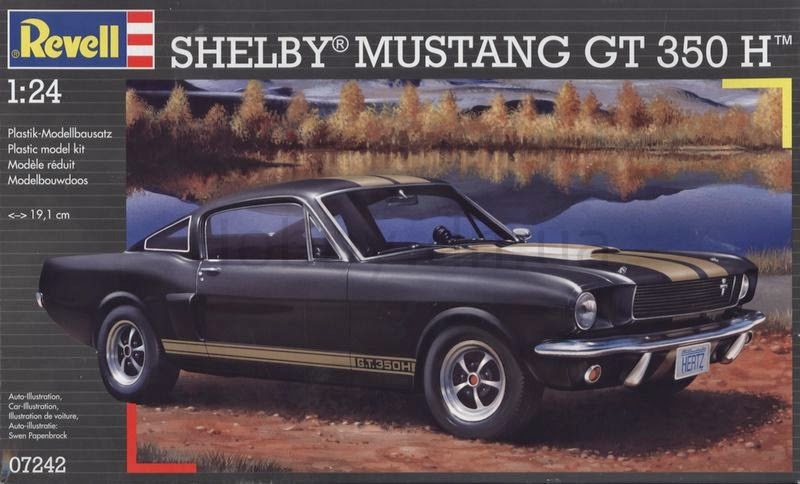 Finally, the Revell Shelby Mustang. Again, I have built one of these but it, also, went to Dan as a present. The new nozzle arrived. Once fitted, I gently tried the airbrush to find that it worked perfectly. So, thanks to Ken Medwell of The Airbrush Company. They provided their usual first class service. Where am I left in all of this. Well, I have a nice little Neo airbrush which can be used without a paint cup. Without a cup attached, it will hold just under 1ml (1/32nd oz.) of paint. I have found that this is sufficient when doing small amount of touch up. It has an added bonus in that there is no cup to clean out. A quick blast through to empty the brush of all paint/varnish and then a fill with airbrush cleaner followed by another blast though and everything is tickety boo! I find that I am turning to it quite often. In fact, it has made me think about the TR0 and why it is a fag to clean. I used to have a Hi-line HP-CH airbrush which I sold off when I got the TR0. However, I am rethinking that decision now that I have re-acquainted myself with a top cup. The TR0 is difficult to clean because it has a side cup. This gives it a convoluted paint path. The cup has to be washed out each time to keep the small connecting tube clear of any residue. 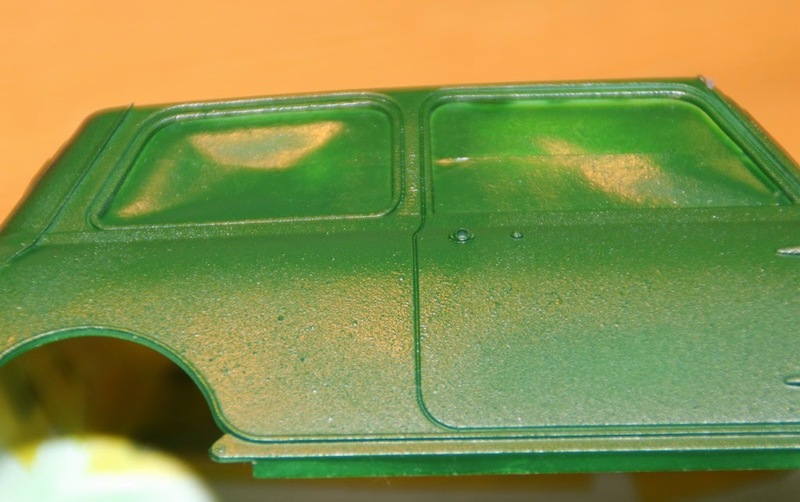 Then, the paint path does a 90 degree turn into the airbrush which, again, is awkward to clean thoroughly. The Hi-line is like the Neo - a straight through paint path that is easier to clean. 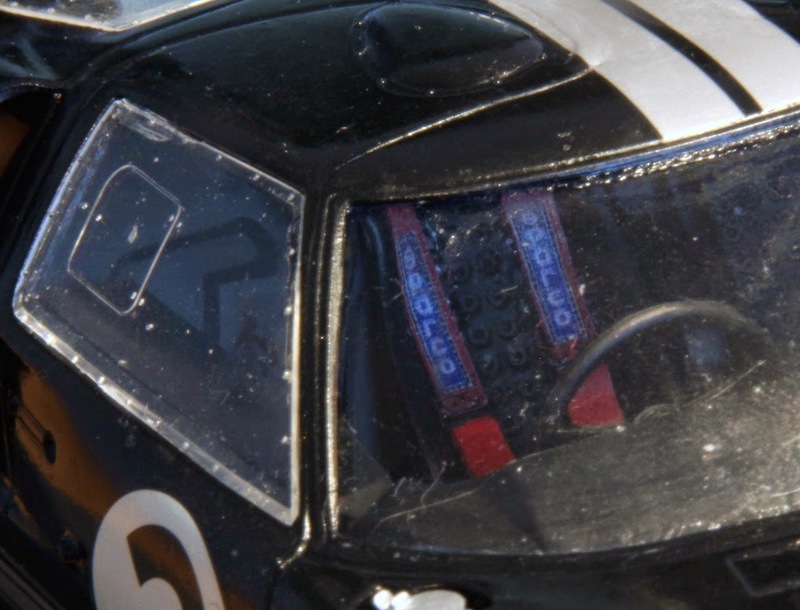 However, the Neo cannot come close to the TR0 for detail work. The trigger gives a lot more control than the button on the Neo. I am thinking about what to do. The Hi-line is £225 whilst the TR0 is £205 so selling the TR0 on E-Bay wouldn't give me enough to get back in with a Hi-line. I don't think that SWMBO (she who must be obeyed) would agree to me spending around one hundred pounds just to resolve my little airbrush dilemma. Oh well, I will just have to carry on! Anyway, the whole thing is irrelevant as I am now managing very well with my combination of airbrushes so onwards and up as they say. 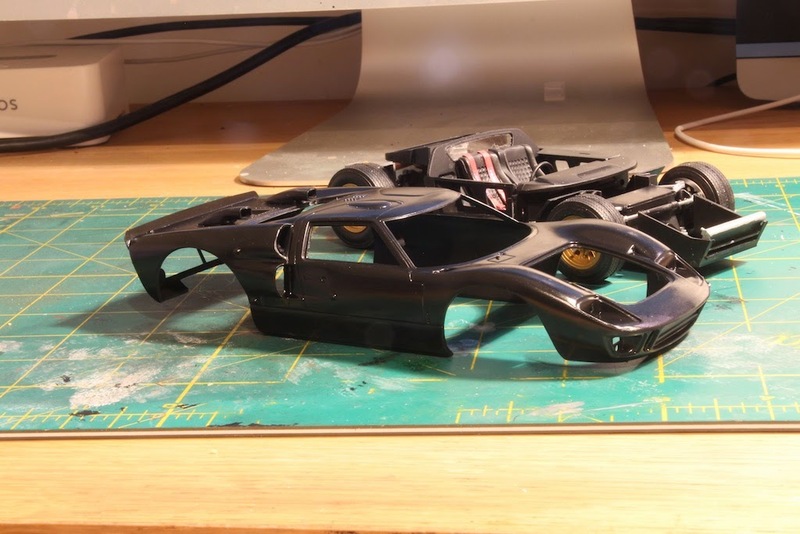 I will use the Neo for the quick touch up jobs and area spraying whilst keeping the TR0 for the finer work such as aircraft camouflage, etc. Although I have been blaming the amount of medication, etc. that took up a lot of last year, there was another underlying reason why my modelling slowly drifted away. When I retired and closed SBX, I made sure that I topped up with anything that I thought I would need in the future - paints, glues, thinners, etc. plus a few kits. This last blast got me all these things at trade price so it was worth doing. One small issue I had at that time came from my arthritic hands. Using an airbrush for a long time was quite painful. 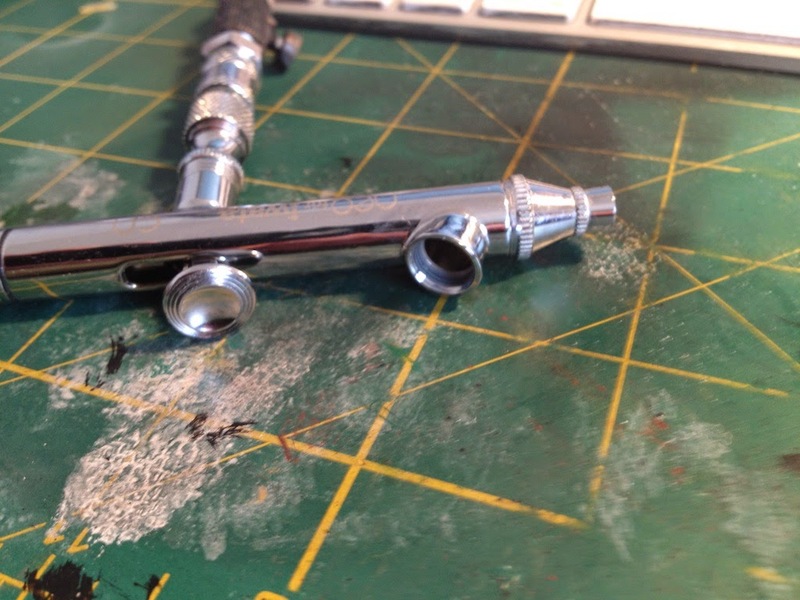 Hence, one of the very last things I bought as SBX was a TR0 Iwata trigger airbrush. I got on very well with this until the middle of last year - 2014. It seemed that it would only rarely let any paint through and became a nightmare to use. As this coincided with my other issues, I didn't really think about it. However, whenever I thought of making a model, I saw an image of fighting this airbrush so put everything on hold. I am making a lot of this as it was actually secondary to my health problems but it didn't help. 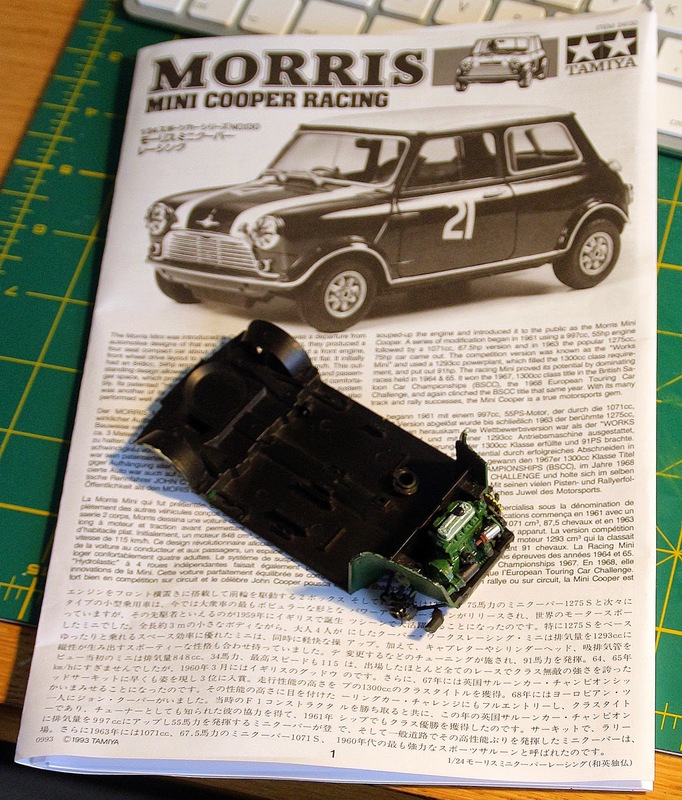 Recently, as you know, I got back into the swing of things and am busy putting together the Copper Car Company racing Mini. This is going quite well. I got some colour matched painted from Hiro Boy - Zero One paints, which are lacquer based. On spraying the body, I again had huge issues with the airbrush. I had bought a full Iwata cleaning kit so I stripped the airbrush right down to its constituent parts and cleaned everything so that the whole thing glowed. I ordered a new needle as the one I had was slightly bent at the tip. Being a bit of a belt and braces chap, I also ordered an Iwata Neo airbrush. Note that as the price of this is £55 - in comparison to the £215 of the TR0, this is a cheap unit. It has turned out not to be so. It comes with two sizes of cup. I tried it with the small cup. I ran the Zero One green through it and it sprayed brilliantly. It also cleaned up without any effort at all. I then found that I had missed spraying the four wheel arch extensions. As I only needed a tiny amount of paint to do this, I didn't even fit the paint cup but put the paint directly into the airbrush. Firstly, it sprayed then very nicely and, secondly, it took no effort to clean it out completely - not even a cup to clean! I exchanged e-mails with Ken Medwell, of the Airbrush Co., who suggested that I might have a damaged tip on the TR0. Having bought a new needle, I felt that if I bought a new tip then I would have replaced everything so it should work. I hadn't accounted for the cost of a 0.2mm tip - £32.60. So, now, I have spent £32.60 on the tip and £10.99 on a new needle. This is almost the cost of the Neo! The tip should arrive today. If this doesn't work, I am going to have to send it back for a service. Over the years at SBX, I because something of an Iwata guru so I am annoyed that I can't solve this problem. Still, the little Neo is giving me great service for now. On to my second thread. 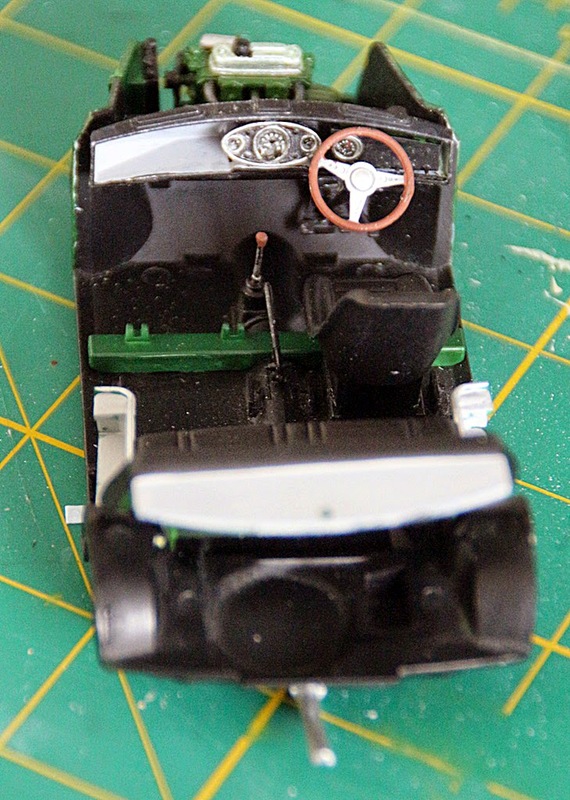 I have sprayed all of the Mini that needs to be in British Racing Green but there is a big problem. The paint has gone on fine everywhere except on the body. The pain there has a gritty finish which will be useless as a polished car. I am currently dousing it in oven cleaner in the hope that I can take it back to bare plastic and start again! The inside is coming on OK. It is a tiny car, so blowing up the image doesn't do any favours but this is where I am with it. I am amazed at how many models I have failed to finish! I spent some time, yesterday, going through my blog back to the beginning. I was amazed at how many models I started but failed to finish. Do you remember these? Dragon Northrop Black Widow - given to James in the shop as I couldn't face all of the window masking. Dragon StuG - Part of a proposed diorama - a German T-34 being towed out of the mud by a StuG and a captured Russian tractor. I made the T-34 but started both the StuG and the tractor but never finished either. Tamiya 1/48th Vietnam Skyraider - I made a mess of the painting and never finished it off. 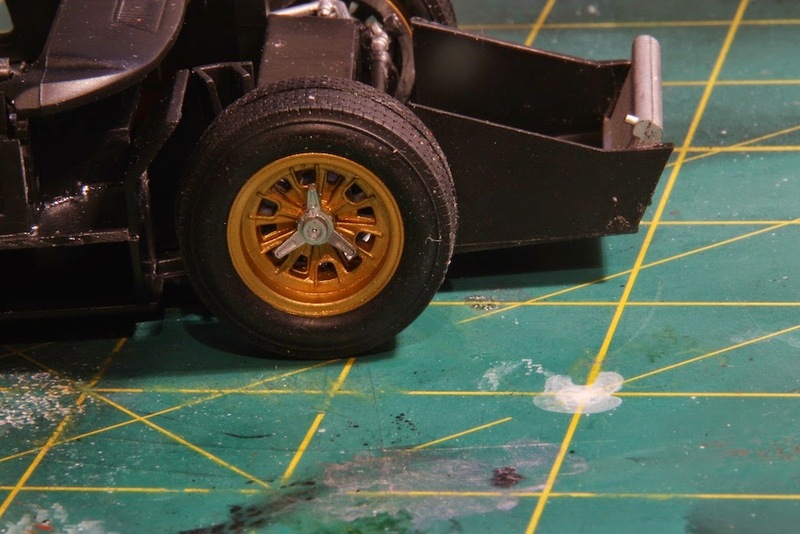 Tamiya 1/12th Tyrrell P34 6 wheel F1 car - put it away in the garage - then put something heavy on to and broke the chassis! Airfix 1/72nd Canberra PR9 - messed up the decals and it ended up on my grandson's ceiling. 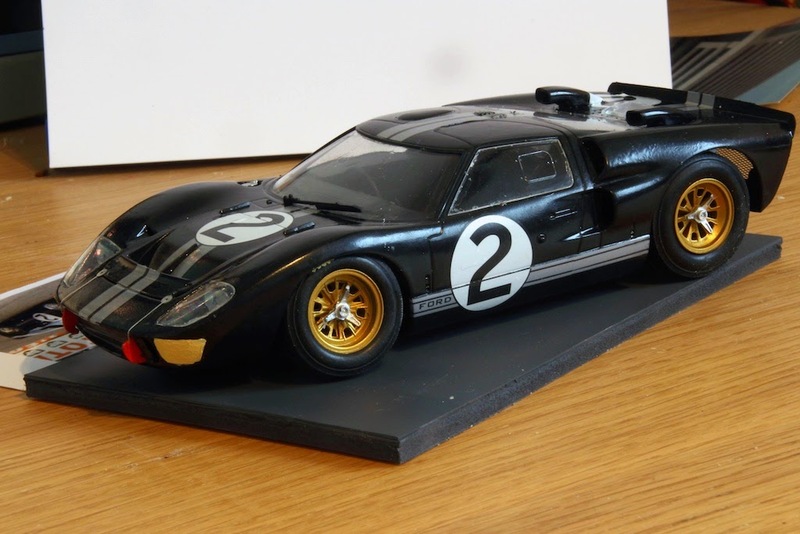 According to my blog in December 2009 I received a 1/12th Trumpeter Ford GT40 and a Pegaso 75mm Arapahoe warrior. Both of these got sold off, un-started, on EBay. 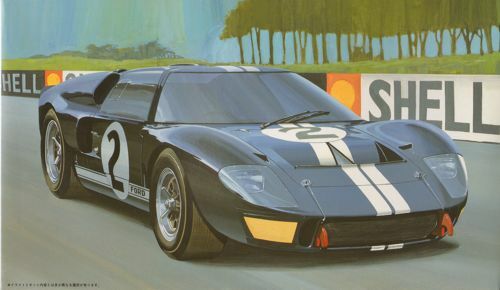 However, I intend to make the GT40 one day. Monogram 1/48th Catalina - for some reason it never got beyond the building stage. Not sure where it went. Hasegawa 1/72nd E.E. Lightning Mk. 6. Made so many mistakes and stupid errors that I, eventually, broke it up on the table. Tamiya 1/48th P-51d - not quite sure what happened to this but I was very daunted by the red/yellow checkerboard nose, which "didn't" come in the decal sheet! 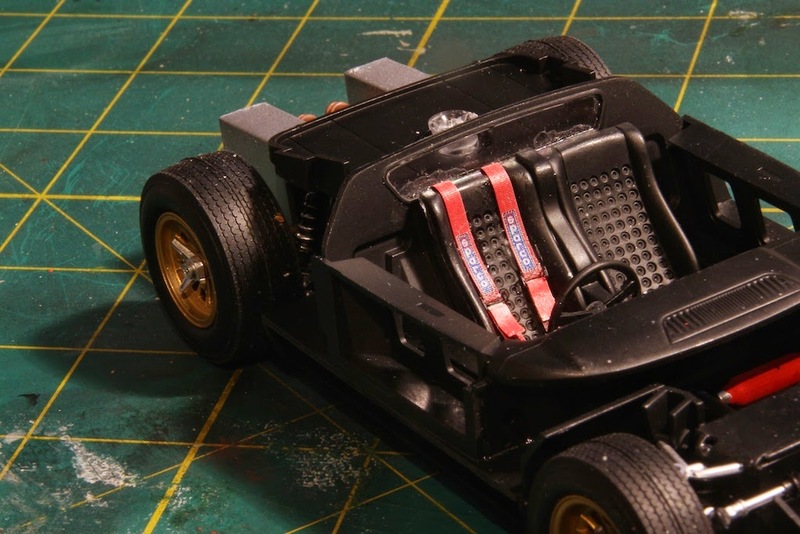 Bronco A13 Cruiser Tank - the body shell was so warped that I gave up. 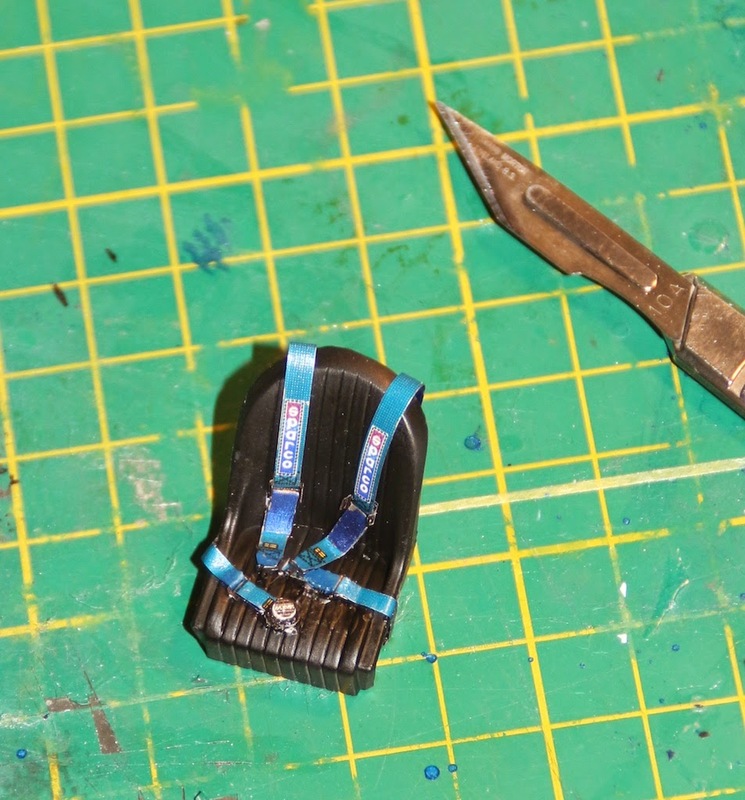 Accurate Miniatures Vindicator - binned because I shredded the marking when removing masking tape! Oh, and I managed the throw the canopy away when clearing my modelling table. Ark Yak 7D and Unimodel Russian Fire Engine - I can't remember what happened to these two but they never got finished. Dragon 1/144th A-6E Intruder - just disappeared. Czech Master Resin COD Fairey Gannet - Ken gave me this kit. Unfortunately, he also gave me the wing fold. I knew that I should have made it with straight wings but... I finally threw the tired body away about 2 months ago. I never did do the wing fold. Hobby Boss 1/72nd Sea Hawk. Just never got going. Fly 1/72nd Whitley. I had the BOAC decals for this and did all of the major body work to make it a de-armed aircraft (flying as an airliner between Gibralter and Malta). 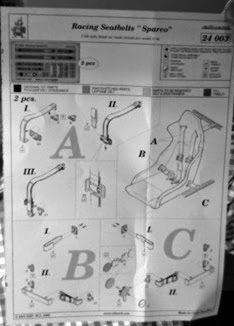 Got as far as the undercarriage and found that all the parts in the kit were very fragile and, in fact, had broken in the bag. Another one hits the dust! Wow, what a list. 18 (No.6 above is actually two) models in total all trashed because I made stupid errors. Perhaps, in a while, I will go through the blog again and list the successes and then sort out what I regard as the winners. Unfortunately, I have had two recent clear outs of completed models. One was as we shut the shop when both the BR-52/Karl Morser and The Ice or the Beer diorama were given away. The other was when we closed SBX finally and moved into an apartment on the Ipswich Waterfront. This required a major thinning out so quite a lot of the 'OK' models were disposed of. As you may know, I had a long while on medication last year. This really messed up my modelling and left me pretty much uninterested in doing anything at all. Now, if anyone knows me, they know that I am not one to sit still and do nothing but... Medication can do strange things. I am still not fully fired up but I thought that if I could get one decent thing finished for the new year then I might get going with a will. Unfortunately, the same lethargy has hit my building of my model railroad so I hope that I can throw that off as well. Here we go. I have a small stock of un-started resin busts. These are something that I have always enjoyed doing. I might not be the best but I make a good fist of any one I make. 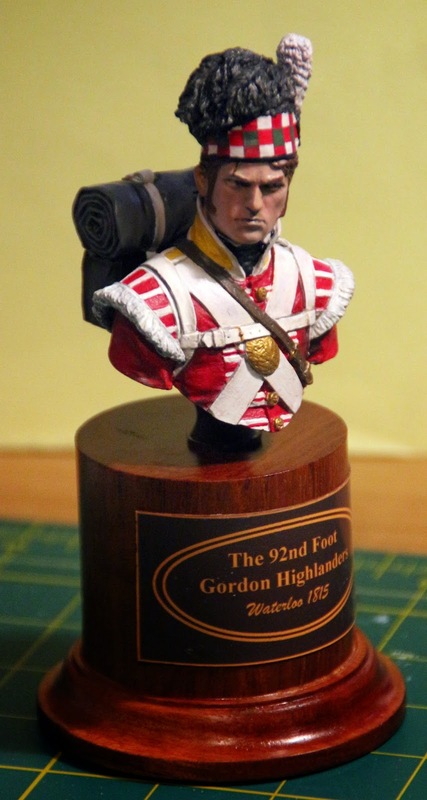 I was especially proud of my Desert War Panzer Officer and my 71st Highlander Officer from 1854. I thought it would be good to do another Highlander - especially as I had cracked the tartan on the hat, or so I thought. It all started out well and I went through my usual paint red, paint white, touch up white, touch up red and so on. I finally got the main part of the bust completed. I then tackled the face. I had three goes at this. I tend to make my faces too dark. Eventually, I overpainted it all and gave him a slightly pink tinge which, in fact, works very well. This left me with the tartan band on the hat. I thought I could remember how to do it. The important thing is to have the vertical stripes really vertical. I found that the best way to do this was to calculate how many stripes there were and work out their width. This turned out to be 3mm. Firstly, I painted the band white. 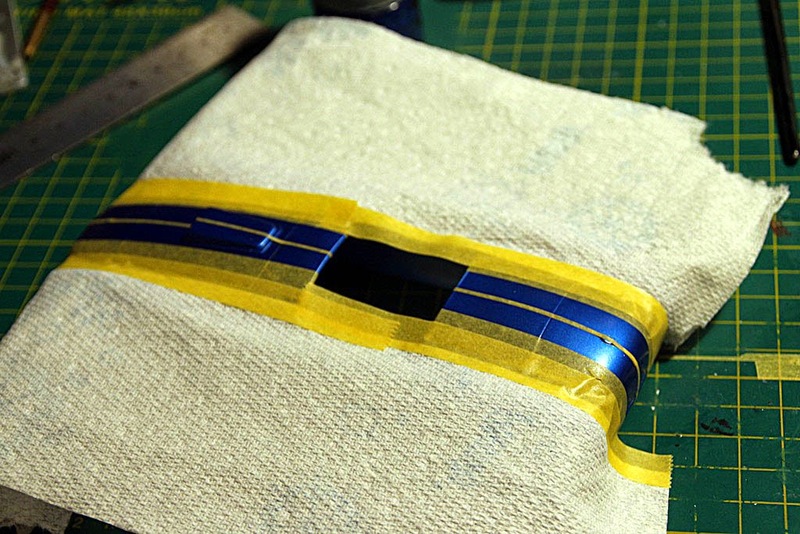 I cut lots of masking take and filled the whole hat band with vertical stripes of masking tape. I then removed every other one. Painting the result red, I then removed the masking tape - wrong, I was left not being able to define the green squares properly. 2nd go - I did it all over again but this time left the vertical tape in place whilst I masked off the top and bottom to leave a clear stripe around the middle. I painted this green. On removing the tape, I found that, somehow, I had some of the red stripes with green squares along with some of the white ones! I am not sure how this happened. I removed all the tape and took the paint off again. This was the second time I had to do this. 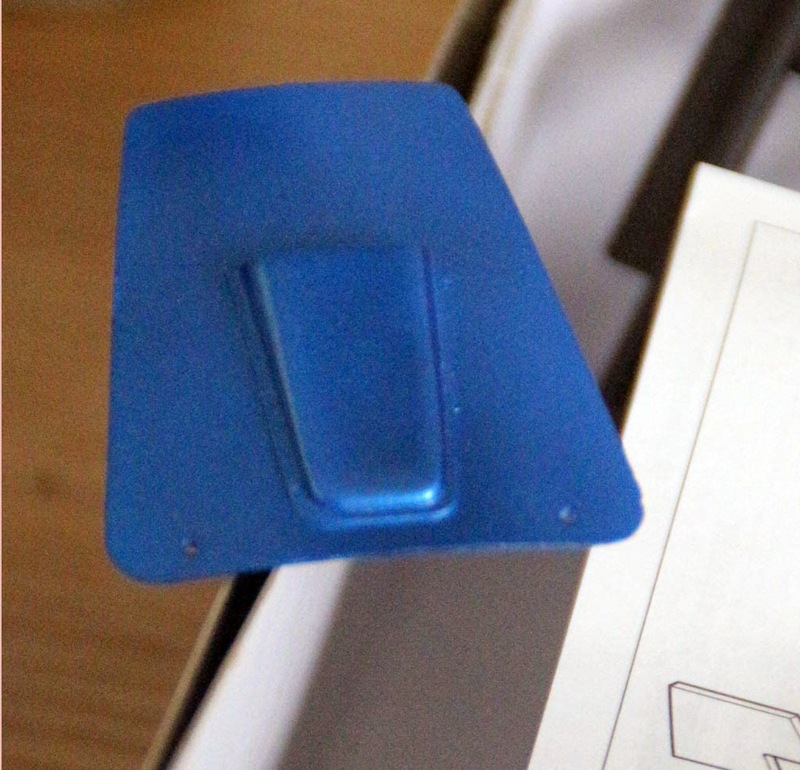 Using my Dremel with a sanding disc - I very gently took all the paint off and did no damage. On the third go, I finally got it right! I gave everything a few coats of Klear. 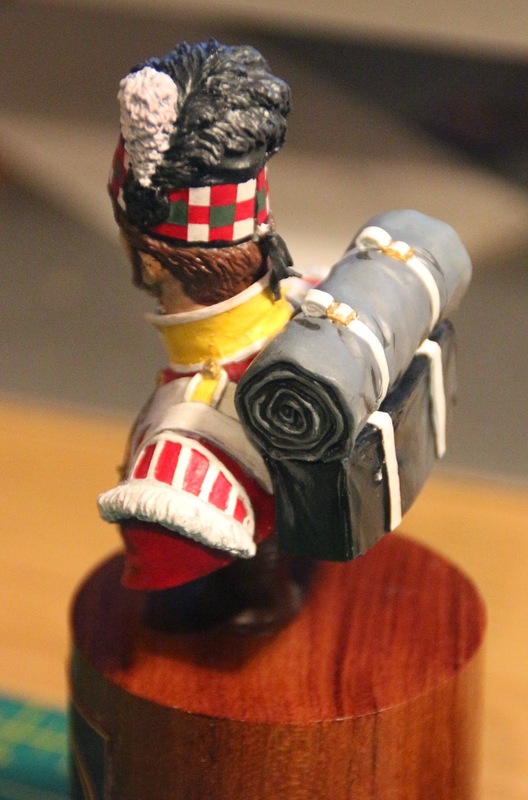 The haversack was coated with gloss varnish as this would have been polished. I then gave the busby and the rolled up blanket a few coats of matt varnish and the rest a coat of satin. I then touched the hollows of the face with matt varnish and finally it looked alright. Using Adobe Illustrator, I made up a name plate on some glossy photo paper. I still have a couple of nice polished bases from the old SBX days so one of them came out of the treasure box.